It is not just the famous Boy Scout motto, but the motto that every teacher should follow to present well-organized and clearly communicated lessons. While you have used our cleaning spray to wipe clean your durable porcelain steel, anodized aluminum trim markerboards, you probably only bought one bottle and that bottle is quickly running out of cleaning solution. Be prepared for the inevitable last drop of our effective cleaning spray by ordering the Clean Dry Erase Board. 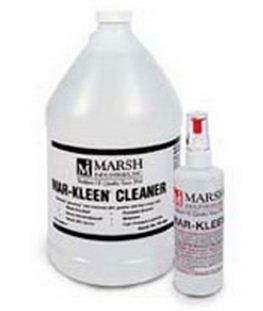 This one-gallon jug refill keeps your markerboard clean for months to come. Use a funnel to prevent spray solution loss and refill your spray bottle for continued easy cleaning that presents a shiny melamine markerboard surface. Remember to store the Clean Dry Erase Board in a secure place.